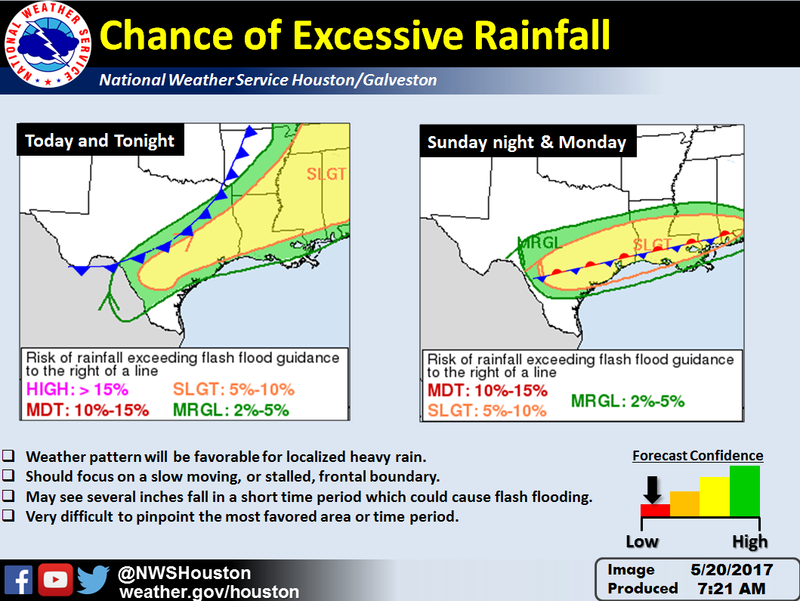 Spring, Texas – May 20th, 2017: According to the National Weather Service Houston/Galveston, periods of showers and thunderstorms are expected through Tuesday as a slow moving frontal boundary moves into the region and stalls. Upper-level disturbances moving overhead will enhance rainfall near the boundary and localized heavy rain can be expected at times. At this time it is very difficult to pinpoint where and how much rain will fall, however, weather patterns will be favorable for localized rainfall and flash flooding. Spring Happenings will provide further updates as this weather system sets up.